Only Fair Trade nativities from Zambia are on this page. 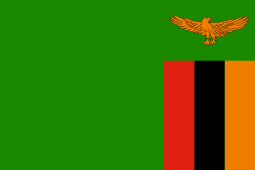 Zambia is a land locked African nation bordered by Angola, Botswana, the Democratic Republic of Congo, Malawi, Mozambique, Namibia, Tanzania & Zimbabwe. The national bird of Zambia is the African Fish Eagle.